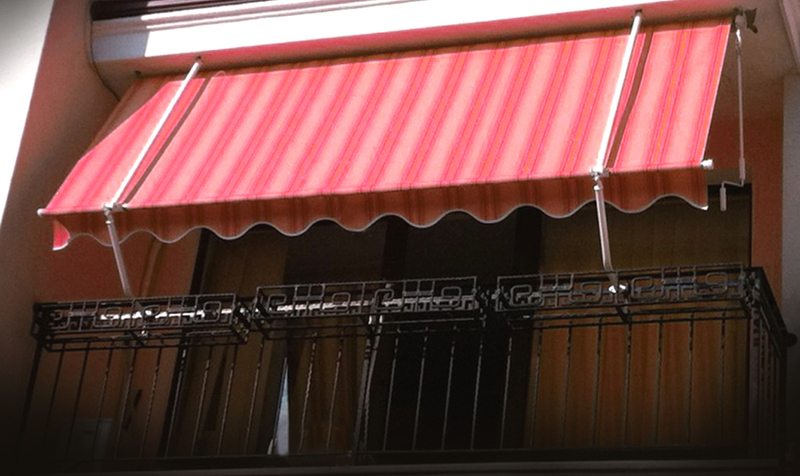 This type of canopy is designed for balconies and terraces. The structure is foldable, made ​​of metal profiles that are powder coated. The mounting options are either ceiling or forefront mounting using wall plugs or anchor bolts. The blind is managed by a pulley system and it is manually folded and unfolded onto a shaft using a crank and gearbox. It is made of acrylic or PVC fabrics that are waterproof and UV protected. For advertisement purposes it can be branded with signs, logos and more.